Please help to support my friend's two young boys who were hit in a car accident Sunday night. This warmhearted Indian Harbour Beach family lives on South Patrick Drive across from Publix. Three of the six children went to see Santa and the fire truck across the street Sunday night. While crossing the street, two of her sons were suddenly struck by a car. 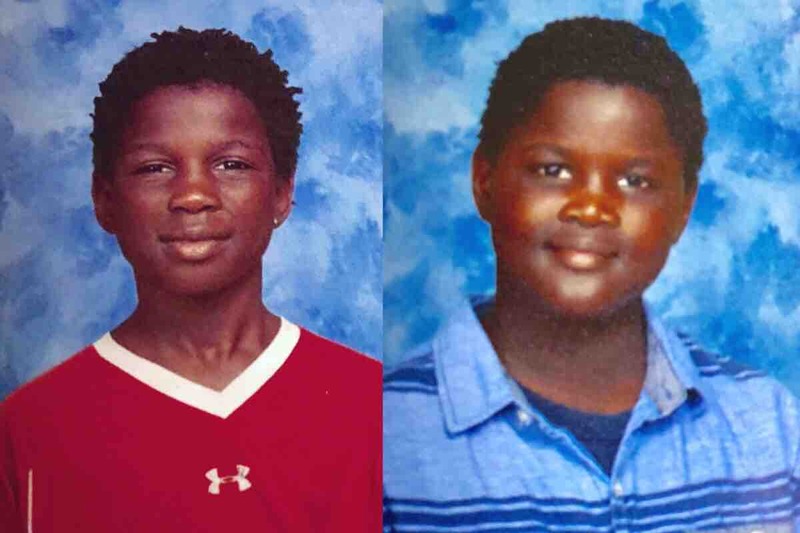 Gregory and Verdell were air lifted to Arnold Palmer Hospital for Children and are being evaluated. They are currently both in critical condition. They are students at Ocean Breeze Elementary School. Gregory is 8 years old in the 2nd grade and Verdell is 11 years old in the fifth grade. They also have two other siblings that attend Ocean Breeze. Another sibling attends Hoover Middle School in the 8th grade, and the oldest sibling attends Satellite High School in the ninth grade. Their grandmother Sharon is a veteran; she and the children's mother Shanel are in Orlando with the boys. They are a very loving and close knit family. They are passionate about the community and have raised their children in Indian Harbour Beach their whole life. While privacy is greatly appreciated at this time, please pray and keep them in your thoughts. We will update you when we know more. Morgan family update. The boys are both back at school! Verdell started last Monday and is able to get around in a wheel chair with a hard cast and can transfer with crutches. His traumatic brain injury continues to impact his cognitive skills but his family remains hopeful he will continue to improve. Verdell is very social and is happy to be back at school with his 5th grade classmates. Gregory continues to improve although he walks with a slight limp. His smile and laughter brighten up anyone’s mood. Just like any beachside kid they they look forward to enjoying the Holy Name Fair. The family continues to appreciate all your kind words, continuous prayers, and genuine support from our beachside community. Great news! Gregory is back to school. He has a full leg cast and uses a walker to get around the school campus. His smile is as big and bright as ever to be with his friends and teachers. It's been a major adjustment but he's willing to put in the work. Unfortunately, Verdell is still at Nemour Children's Hospital. He Spends his days resting, playing with his Xbox video games and participating in daily occupational, speech, and physical therapy. He has a long road ahead. Because of the trauma to various parts of his body they are still running tests. One area improves and then another concern arises. He still has pins in his leg and spends most of the day in a hospital bed. He can get around in a wheel chair but it will be a long time before he can walk again. His traumatic brain injury is still healing and he has difficulty concentrating and paying attention, and shows difficulty thinking and understanding. Overall, Verdell is currently delayed cognitively. He is very eager to come home to his family and calls a lot to talk to everyone. Please continue to prayer for healing. Keep him in your thoughts. The whole family is just so appreciative and feels blessed beyond words. In the future they would like to have a "welcome home" party at Gleason once they are feeling up to it. The whole family had a great Christmas all of the children are very thankful for what they received. I hope you all are having a great Christmas break. The boys' family says thank you for everyone's thoughts and prayers for the boys. They are slowly improving. Greg is at home healing his leg. He is getting a hard cast next week. He is currently mobile with a walker and wheelchair but no weight bearing on his broken leg. Verdell has moved to rehabilitation at Nemours Children's Hospital. They are helping to improve speech and improve use of his broken right wrist. He is off the feeding tube and is recouping from pneumonia. His right wrist is broken and is working with an occupational therapist to improve with his arm. His leg has a long way to go. It will be a few months before they know what they are dealing with his brain injury. Many blessings this holiday season. Verdell is off the ventilator. He was moved out of PICU to the ortho-neuro unit. They anticipate he will remain in Orlando at Arnold Palmer Hospital for Children for a couple weeks. Due to his injuries he is in considerable pain. Most of the day he spends resting in order to heal his body. Our warmest heart-felt thanks and gratitude goes out to our community family for their generous donations.